The body of St. Leopold Mandić, a Croatian Capuchin friar and one of the two patron saints of the Year of Mercy, will arrive today in Croatia again. 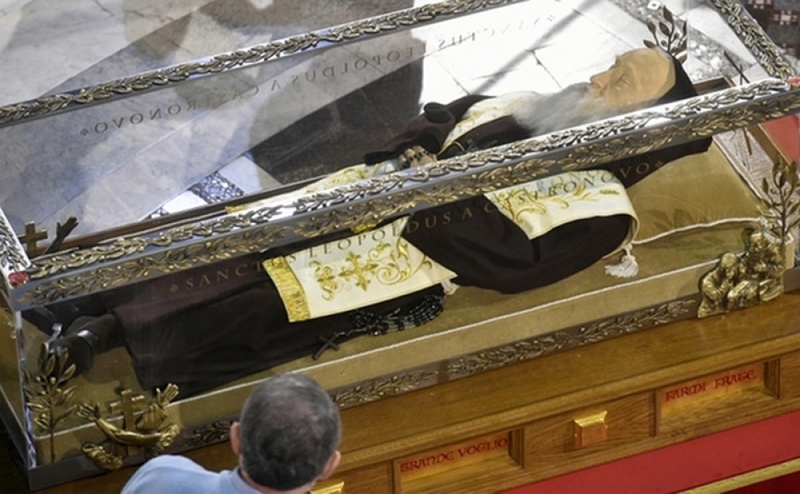 It is just the second time in Croatia that the body of St. Leopold Mandić has been on display for the public. The first time was in April of 2016 when more than 200,000 people took the opportunity to see the body in the capital Zagreb. This time his body will be on display on the Croatian coast. First in Zadar (Kampo Kaštelo), where Mandić spent time serving, on Thursday 14 September, before going to Dubrovnik on 16 September, Split (Church of Our Lady of Pojišan) on 18 September and finally Rijeka on 19 September. The body of St. Leopold Mandić will also visit Herceg Novi (Montenegro) on 15 & 16 September before returning back to Padova where it stays. St. Leopold Mandić was born on 12 May 1866 and died on 30 July 1942. He was a Croatian Capuchin friar and Catholic priest, who suffered from disabilities that would plague his speech and stature. He developed tremendous spiritual strength in spite of his disabilities. He spent almost all his adult life in Italy, living in Padua from 1906 until his death. He also spent one year in an Italian prison during World War I, since he would not renounce his Croatian nationality. He also dreamed unceasingly about reuniting the Catholic and Orthodox churches and going to the Orient. He became known as Apostle of Confession and Apostle of Unity. He made a famous prayer that is the forerunner of today’s ecumenism.